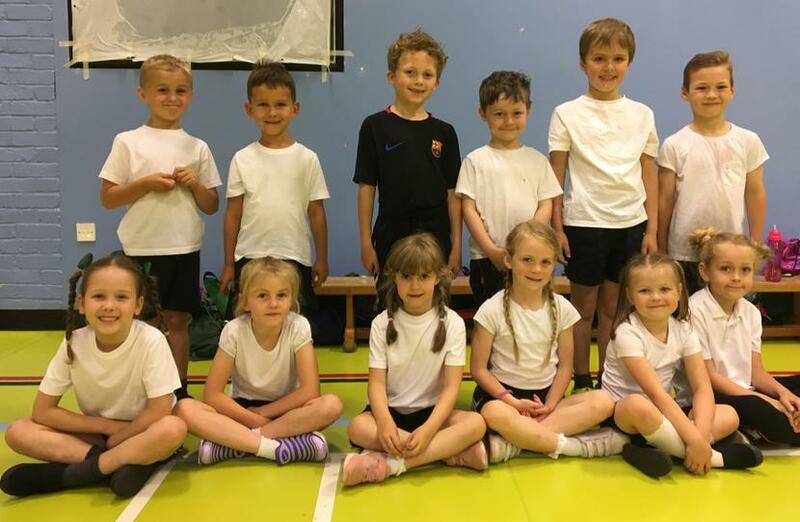 Thursday 07th June 2018 – What a fantastic afternoon of sport at Plympton Academy! Our leadership academy hosted our annual KS1 Multi Skills event today for 7 schools from the Plymouth School Sports Partnership. They did an incredible job of leading events and working with the primary children and several teachers commented on how brilliant you were so thank you for all of your hard work! Teams from Plympton St. Maurice, Yealmpstone Farm, St. Marys, Compton, Boringdon, King’s School and Chaddlewood all came along to take part and compete in our fun circuit designed to test different aspects of their skills; we had tests of endurance with the Speed Bounce, strength with the Chest Push and even accuracy with the Bean Bag Throw. As well as being an opportunity to test skills and work as a team to score points, this festival focused on ‘Determination’ and what this means in sports as well as other things. We discussed the importance of never giving up and trying our best – this was certainly evident when we got underway and there were a lot of concentrating faces as well as rosy cheeks. 5 of the 7 events were scored and 2 were for fun so each team strived to do their very best to get as many points as possible. Huge congratulations to Chaddlewood Primary who were our overall winners on the day and also to St. Marys who were only a few points behind. Well done to all of the teams taking part today – it was so exciting watching you all take part – we clearly have some amazing young athletes in our schools. As well as the team event, we awarded medals to the highest scoring girl and boy in 3 of the events; congratulations to Chloe (Yealmpstone Farm) for completing the most speed bounce jumps for the girls and to Jayden (Boringdon) who won the boys event; we had a tie for first place in the Chest Push event for the girls – well done to Mia (Boringdon) and Kiera (Chaddlewood) – well done as well to Nicholas (Boringdon) who threw the farthest overall for the boys; there were 3 winners for the girls Bean Bag Throw and 2 for the boys – all completing the event with the maximum score of 90 points – well done to Mylee/ Jessica/Lola/Harry and Lawson – all from St. Marys! Accuracy is clearly a strength at your school. Well done to all of the children who took part today, it was great to look around the hall and see so many people enjoying taking part and having fun with the challenges. I hope you all enjoyed today as much as I did – I am already looking forward to our next event coming up very soon.